Guernsey captain Blair Campbell says his side's first-half performance was to blame for their crushing 48-15 loss at second-placed Barnes. Guernsey conceded eight tries and are now just nine points off the relegation zone, having lost four of their last five National Three London games. "First half we didn't really perform as we'd have liked to," Campbell said. 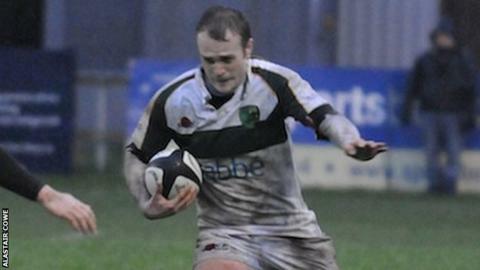 "After 15 or 20 minutes we were already 20-0 down and it's always tough to come back from that," he told BBC Guernsey. "We had a few stern words at half time and that was the catalyst to put us into action and the second half was a lot better, so at least we can take a positive away from the game." But Campbell says his teammates cannot afford to go behind by so much so early if they are to start winning games again. "I don't think the intensity was there at the beginning, it took us too long to get into the game. "At this level, in this league, you've already lost the game if you let them get on top of you like that."